Don't miss on this rare opportunity to stock up on your favourite perfumes! Don't miss this opportunity to buy larger amount of your favourite scent at a significantly discounted price! This packaging is being discontinued, as it was replaced by 8ml French Flacon with ground glass stopper. 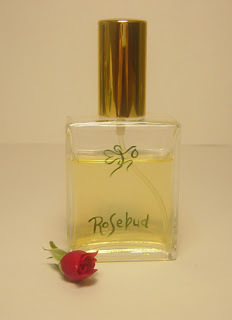 All of our perfumes are now sold only in pure parfum or parfum oil concentrations, for $100 a piece regular price. All bottles are hand painted with our signature Fairy and the Drop logo, and the name of the perfume. Aries - Spicy and musky with tobacco, zantoxylum and lime. Taurus - Oriental rose deepened with patchouli and vanilla and a sprinkled with a hint of palmarosa and tangerine. Cancer - Deeply sensual amber with luxurious jasmine and mysterious notes of camphor and anise. Leo - Incensey and bright, with olibanum, Roman chamomile, cinnamon, rose and vanilla. Virgo - Ethereal yet earthy with unusual combination of notes that are both fresh and intriguing: yuzu, clementine, magnolia, mastic, cardamom, fennel, myrrh and sandalwood. Libra - Soft floriental with tuberose, tonka bean rose and sandalwood and a hint of green galbanum and clementine. Scorpio - Leathery and naughty with lotus, tuberose, smoked benzoin, jasmine, tonka, zantoxylum, opoponax and black and pink peppercorns. Sagittarius - Exotic, warm foresty and spicy with fir absolute, black tea, champaca, carnation and star anise. Capricorn - Woody and floral with magnolia, rose, neroli, myrrh and vetiver. Aquarius - Fougere floral with Linden blossom, green cognac, lavender, rosewood, Budha wood, blue cypress and myrrh. Comes with your choice of a spray pump or a cap. Epice Sauvage - SOLD OUT! In anticipation for the upcoming launch of my new website, a major clean-up is in place. And that means a huge sale - for all the perfumes that will be discontinued and will NOT appear on the new website. If you happened to be in love with any of those fragrances, you can always contact me to special order them. But they will not appear on the new website launching next week. The following Parfum Extraits are presented in our signature flacon (frosted teardrop shape), and are offered at only $75 (instead of $100). Moon Breath in alcohol base (limited edition, only 3 bottles left!) 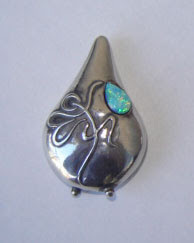 - Moon Breath in its oil base will remain the same price (and will be offered in the new website as well). 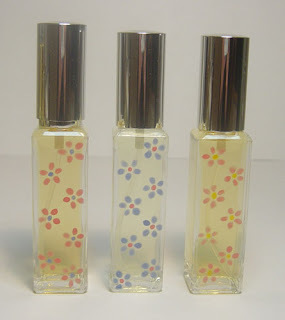 Petit Parfum, our perfume for children, also to be discontinued and removed from the new website, will be available for $65 for the parfum oil roll on bottle (10ml). 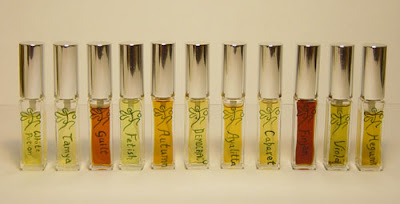 All are parfum oils in 10ml roll-on bottles, hand painted with the Zodiac symbol. Originally priced at $13o, they can now be had for only $65. You will be refunded for the balance immediately after placing your order. Some of the perfumes, even though I love them dearly and think they are great, have been in so little demand that I simply cannot keep them on the shelves (physical or virtual - especially considering all the data entry required for putting them up online in the new website). Some of these perfumes mean a lot to me as they signify an important stage in my creative and technical development as a perfumer. For instance - Ayala, which is the first perfume I've ever created, and Petit Parfum, my perfume for children that my daguhter used to fall asleep to every night in her toddler and preschooler yers... Besides me there are very few who liked them enough to buy them... So I am going to give them a rest, and move on. The future looks bright and I must look forward and leave some of these nostalgic moments behind. At least in terms of production and sales. However, don't fret and order them if they intrigue you. I will be more than happy to re-produce them upon demand. And the entire Zodiac collection. The formulas, obviously, are kept on-file, and can be always produced upon request.